When folks in AR hear the word automation, it doesn't necessarily bring to mind the most positive, reassuring thoughts. Change is never a seamless process but distinguishing fact from fiction can go a long way. Every AR department has the same goals - reduce operating costs, collect payments faster and strengthen their relationships with customers - AR automation is simply a tool to help accomplish them. 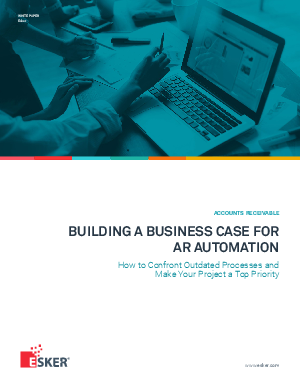 Learn why AR automation shouldn't be scary and why it matters more than ever in this insightful white paper.